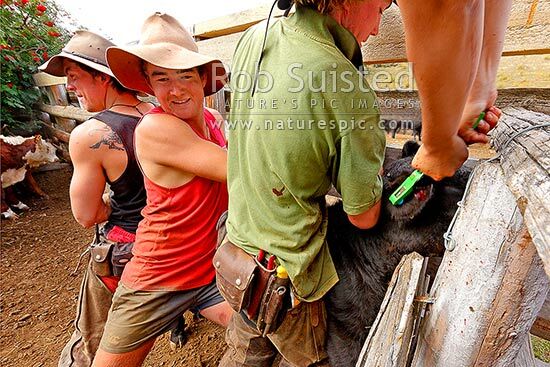 Stockmen working in Bush Gully yards, holding calf that escaped the chute. Ear tagging, marking and castration. Dan Saville (l) Mark Wragg, Dan Jury (right), Molesworth Station, Marlborough District, Marlborough Region, New Zealand (NZ), stock photo.